Beatleshow brings to life Beatle Mania, the incredible fandom that forever lives on in the hearts of Beatle fans everywhere. Known as the Fab Four, those four moppy-headed guys from Liverpool literally rocked the world with their British Invasion. It’s been decades since they revolutionized the pop scene yet their music lives on more passionately than ever. While they’ve been adored globally for eons, it’s Las Vegas that has grown to become the place to celebrate The Beatles and give fans the ultimate experience to relive the band’s music catalogue. 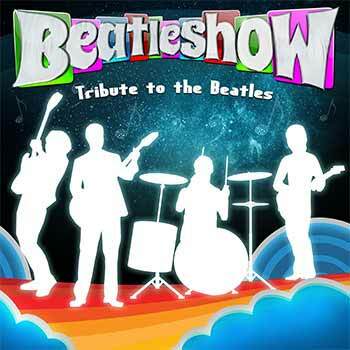 The Beatleshow is not only a tribute band that takes the audience on a musical journey through the deviant 60’s and decadent 70’s, but it is a celebration of the musical legacy of one of the most celebrated rock ‘n roll bands of all time. This original production show recaptures significant historic moments in the varied career of The Beatles. Through iconic costumes, stellar sound effects, complementary visuals and sequenced lighting – The Beatleshow Orchestra gives a full experience of what it must’ve been like to see The Beatles during their heyday. We enjoyed singing along to all the hits. It was neat to see the transition throughout the decades.